Palm oil plantation. Photo via Environmental Justice Atlas. Why did it take years for Cargill and Wilmar to cut off one of Guatemala’s most corrupt companies? A Guatemalan palm oil company called Reforestadora de Palmas AC (REPSA) was charged with corruption last week in a high-profile investigation of systemic tax fraud in Guatemala. As of this writing, the REPSA executives named in the case are considered “fugitives from justice” by CICIG, the UN-backed anti-impunity body in charge of the case. REPSA, which supplies palm oil to the global market, is among a group of companies that the investigative website Plaza Publica calls “a cartel of millionaire influence traffickers”. After two years of pressure from Friends of the Earth and our allies, the global agribusiness traders Cargill and Wilmar International suspended their palm oil sourcing from REPSA in the last months of 2017. REPSA had been linked to a massive spill of palm oil effluent into Guatemala’s Pasion River, and to human rights abuses, including possible links to the 2015 killing of indigenous community leader Rigoberto Lima Choc. The river spill was labeled an ‘ecocide’ by a Guatemalan court, but the company forced an appeal, and no formal charges have been made in relation to the killing. This is not surprising in a country where seventy-two percent of murders go uninvestigated, and where REPSA and its parent company Grupo HAME have ties to the highest levels of the government. We previously detailed some of the key moments in the campaign, including the June 2016 recognition by the multinational palm oil traders that they had a role to play in addressing the issues, and their subsequent requirement that REPSA adopt a precedent-setting Policy to Prohibit Violence and Intimidation. We also documented REPSA’s fraught attempt, in July 2017, to engage in a grievance resolution process that looked more like an effort to stigmatize the victims of the ecocide and publicly defame critics than an effort to resolve the issues. All of this contributed to the pressure that led Cargill and Wilmar to suspend business with REPSA. The news of the suspension was quietly announced in early January, but neither company chose to make much public noise about it, or to inform the public or the government of Guatemala of the rationale behind their business decision. Now, a high-level corruption scandal has broken in Guatemala, where nine companies have been charged with influence peddling and bribery. REPSA is among the companies charged, and four high-level executives in REPSA, including the directors Hugo Alberto Molina Botrán and his brother Juan Milton Molina Botrán, are under order of arrest. This is just the latest charge against a member of Grupo Hame, which was fined $370 millions Quetzales ($50 million USD) for tax evasion in 2016. The strong links between corporate corruption and environmental mismanagement are widely known. As we wrote in our 2016 report on U.S. investment in palm oil, Are You Invested in Exploitation? : “The countries where the palm oil industry is strongest tend to be former or current dictatorships with high rates of corruption. According to Transparency International’s corruption index, every palm oil producer country falls into the group of countries where corruption among public institutions and employees is still common.” Guatemala is close to the top of the list. Yet agribusiness companies and consumer brands do not appear to be looking for these links when they engage in business with local suppliers, even in countries like Guatemala with extreme levels of corruption and violence. The strong links between corporate corruption and environmental mismanagement are widely known. 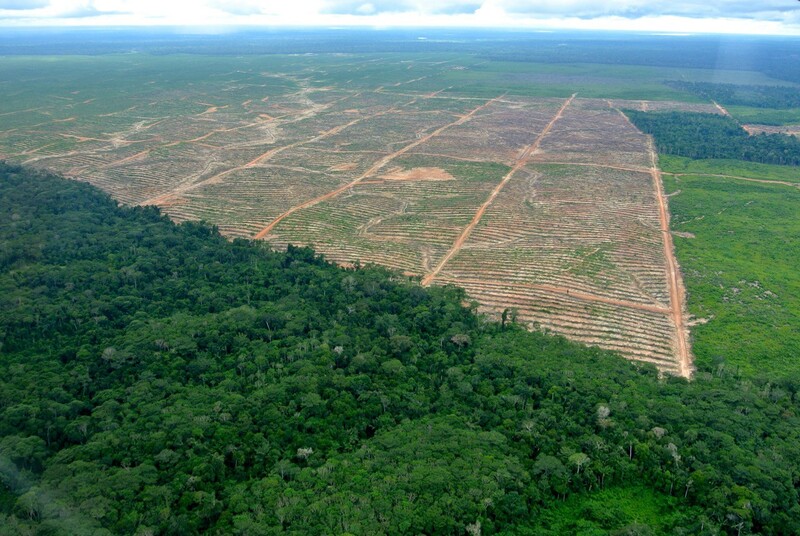 Just last week an article in Forbes by Ceres President Mindy Lubber noted that deforestation in a company’s supply chain is ‘a leading indicator of other corporate governance issues’. Of course, this formula also works in reverse: failures of environmental management are symptomatic of failures in corporate governance. So why did it take more than two years after the Rio Pasion ecocide — subject to an EPA study in September of 2015 — for REPSA’s biggest customers to finally cut ties? And what other companies may be associated with REPSA? An analysis of Mexican import data for 2015 shows that the majority of the palm oil trade leaving Guatemala is facilitated by Cargill subsidiary CAI Trading. A significant number of consumer goods manufacturing companies have production plants or outlets in Mexico and may be sourcing palm oil from REPSA. These companies include Colgate-Palmolive, Conagra Brands, Dunkin’ Brands, Grupo Bimbo, The Hershey Company, Kellogg Company, The Kraft Heinz Company, Krispy Kreme, Mars, Mondelēz, Nestlé, PepsiCo, Procter & Gamble and Unilever. Despite attempts by campaigners to persuade every consumer goods company on this list to suspend business with REPSA, none have. Perhaps the impending arrest of REPSA’s top executives will cause them to take another look.